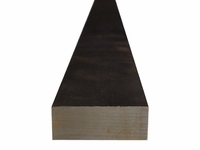 Grade 1018 material is a good low carbon, general purpose steel. It is chemically similar to that of grade A36, but with a better surface finish and much more accurate size tolerances. 1018 can be readily welded and brazed. It offers good case hardening properties and fair machinability.